Austria escorted tour and luxury vacation in Austria give you opportunity to visit all the highlights of Austria: Vienna imperial capital, elegant cities Salzburg and Innsbruck, Austrian Alps with picturesque Alpine villages, fabulous Austrian lakes, stunning castles and palaces and unique historical buildings. With our luxury escorted coach tours through Austria you will also have opportunity to explore: romantic baroque town of Dürnstein, legendary wine growing region Wachau, Melk with its magnificent baroque abbey, medieval Krems, magical Vienna Woods, Burgenland and Austria’s best-known wineries, fascinating Franzensburg castle in Laxenburg, the biggest underground lake and much more. You can choose escorted tour that shows you all the highlights of Austria, or an escorted tour that stops in Austria en-route and then continues to explore Czech Republic, Germany, Poland,Hungary, Croatia and Italy. You can also combine one of land escorted tour with cruising along the legendary Danube River. Whether your passion is for art and architecture, natural scenery, classical music, wine and gastronomy your escorted tour of Austria will be truly memorable with us. Every region of Austria is stunning! Your escorted tour in Austria can be as varied and endlessly fascinating as the country itself. 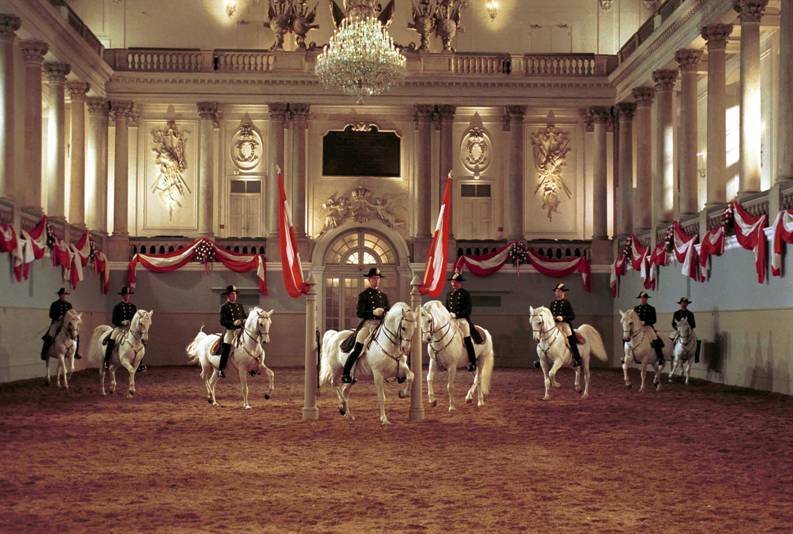 Enjoy the best of Vienna with our escorted tours in Austria. 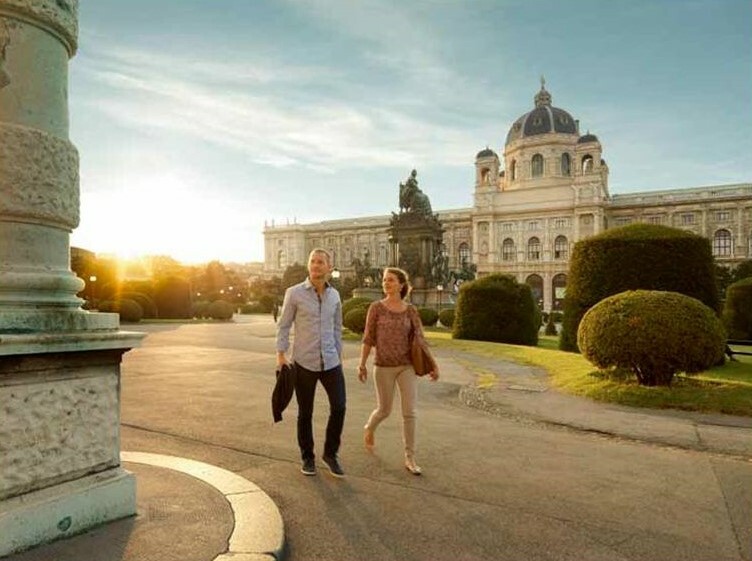 Walk in the footsteps of the Habsburgs, visit the opulent palaces Schonbrunn and Belvedere, or stroll along the magnificent Ring Boulevard and take a look at the Hofburg – Imperial Palace, the heart of the former vast Habsburg empire. Get a sense of the glory of the old empire by visiting St. Stephen’s Cathedral, the Spanish Riding School, the Giant Ferris Wheel at the Prater. 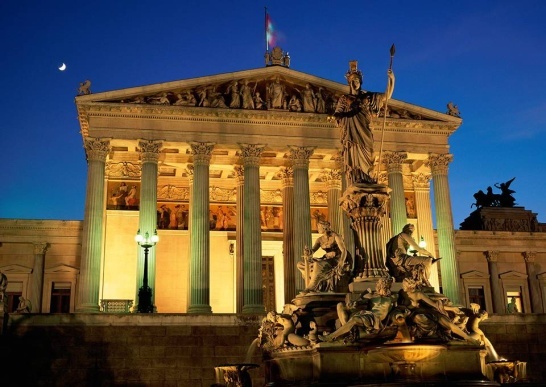 Find out more about great composers and Viennese outstanding musical heritage, famous Austrian painters, the local film scene, architecture and the history of Vienna. Experience Advent in Vienna and visit famous Christmas Markets. Vienna will delight you with its love of music and the arts, its famous coffee houses and great shopping. 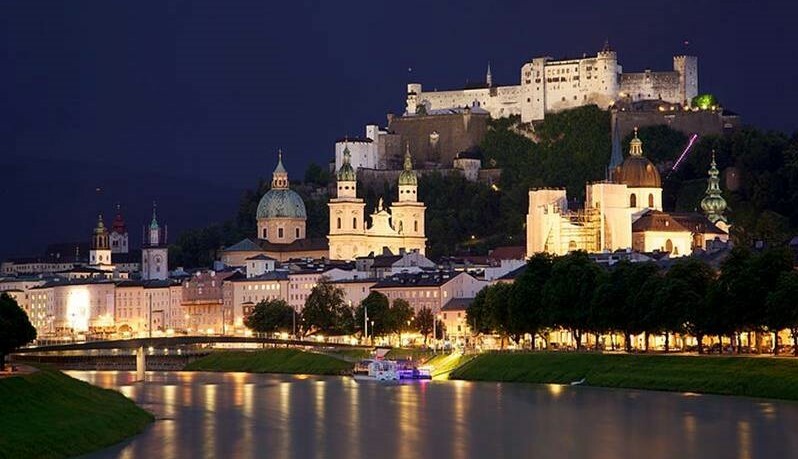 Enjoy the best tour of Salzburg with our escorted tours through Austria and feel the spirit of past days at every turn. 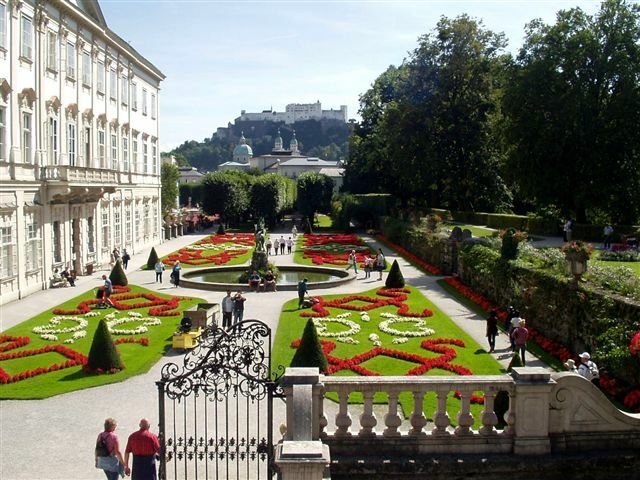 Discover the history and architectural landmarks of Salzburg including the fabulous Mirabell Gardens The Salzburg Cathedral, Fortress Hohensalzburg,The Old Residence, Getreidegasse and Mozart’s birthplace, St. Peter’s Abbey and its impressive graveyard. 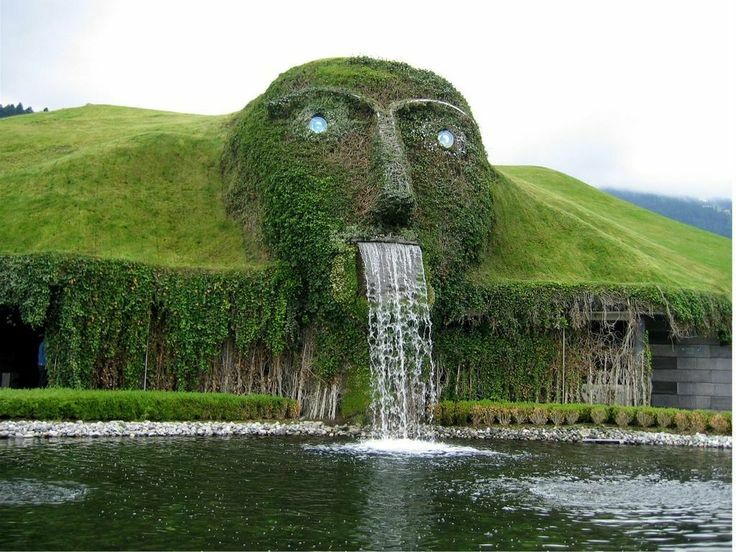 Visit Hellbrunn palace known for its wondrous trick fountains in the summer and its charming Christmas market in the winter. Our Austria escorted tours take you to Innsbruck – Tyrolean capital , with its historical buildings, breathtaking scenery and snow-capped mountains. Innsbruck is located both close to Munich and northern Italy making it a must see alpine destination with most of our escorted tours. Visit with us Innsbruck famous landmarks: Emperor Maximilian’s Golden Roof,The Imperial Palace is one of the three most important cultural landmarks in Austria, Ambras Castlel, Triumphal Arch , Hofkirche – Gothic church, Tyrolean Folk Art Museum, Alpine Zoo – The highest zoo in Europe , spectacular ski jump The Bergisel and Crystal World of Swarovski . Please contact us to tailor made your escorted tour in Austria and see where else our Europe escorted tours can take you ..